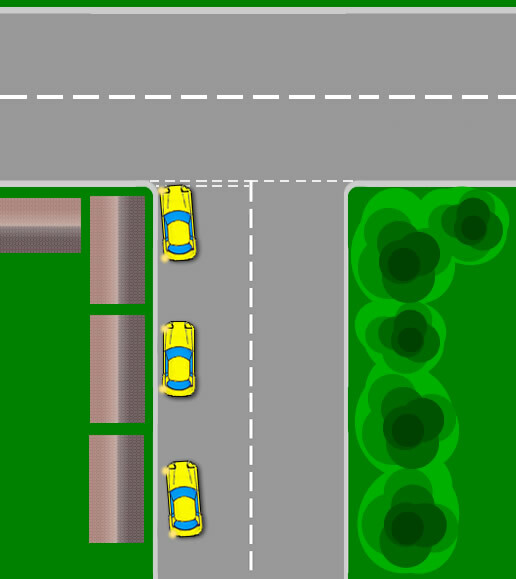 During the driving test, there will be many junctions you will come across. Each junction needs to be approached using the same technique. This technique is MSPSL. Mirror, signal, position,speed and look. If the intension is to turn left when you reach the junction, first check your main mirror and then your left mirror. Signal to the left. 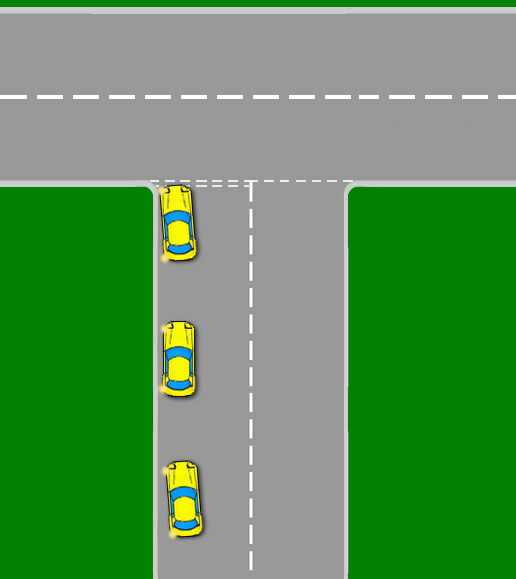 You will then need to position the car to the left hand side of the road. This is because if the road is wide enough you will allow cars turning right at the junction to get into position alongside you. Also it will provide you with a better position for entering the new road. A badly positioned car at the junction could be dangerous to yourself and other road users. Once you have the correct position, you will need to use an appropriate speed. The speed of your car depends on what you can see. To determine the appropriate speed, start looking ahead at the junction as early as possible. Gently slowing the car, you should be able to determine if the junction is open or closed. A closed junction will be difficult to see vehicles on the road which you intend to emerge on. The junction will be obscured by for example, houses, fences, trees etc. Once you have determined the junction is closed, a slower vehicle will be required and you may need to stop. If the junction is open however, on the approach you will be able to see the road that you intend to emerge into much clearer. If you are turning left at the end of the road and it is open, you may be able to proceed without stopping. Often this will be using 2nd gear at around 10 to 15 MPH. Finally, as you approach the junction line, keep looking up and down the road you intend to emerge into. Your approach speed should be slow so as you can stop safely if need be. Again use the MSPSL routine. Check your main mirror followed by your right mirror and signal to the right. 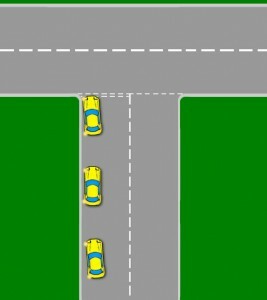 Your cars position this time needs to be just to the left of the centre line indicated by the red car. This is to allow cars emerging left to gain position to your side if the road is wide enough and also to take an appropriate position when the junction line is reached. Again your speed will be determined by if the junction is open or closed. When turning right at a junction, you are crossing two lanes instead of one when turning left. This will require extra caution. In most circumstances, your speed approaching the junction line will need to be very slow and in first gear. Ensure you do not put the clutch down too early. Always depress the clutch around 4 to 5 meters from where you intend to stop. By depressing the clutch too early reduces the effect of braking. This is referred to as coasting and if done often and to excess may jeopardise your driving test. Finally as you approach the junction line, keep looking up and down the road you intend on emerging into to determine if is safe to proceed or stop. Junctions represent a high failure in driving tests. Most often this is due to an inappropriate speed. Always look well ahead to determine what you are dealing with. Look for road signs. Perhaps there is a give way sign or it may be a stop sign. Stop signs are implemented due to the road that you intend on emerging into is highly hazardous. 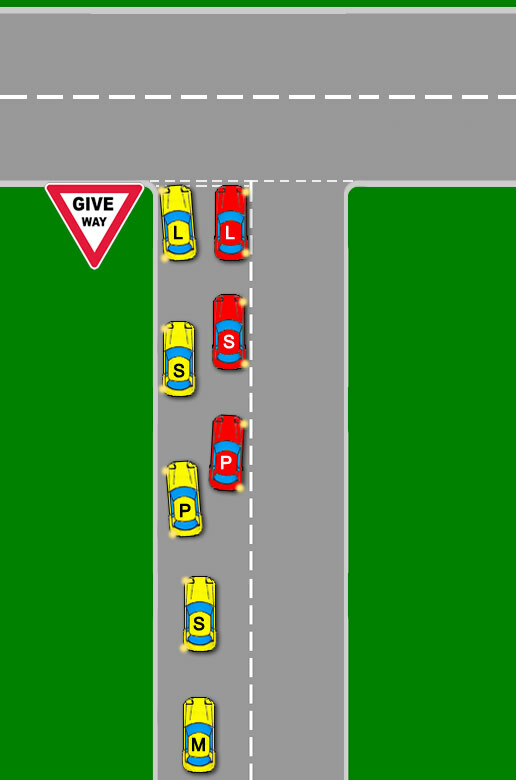 Unlike a give way sign, by law, you need to stop at a stop sign. If you approach junctions too fast, this will lessen your ability to gain a good road position and to take appropriate observations. If you are not sure what you are driving into or simply can’t see due to the junction being closed, slow down. This will allow you to use the MSPSL routine correctly and to emerge safely and at an appropriate speed. Of course, always use a experienced and qualified driving instructor like those at Cambridge Driving School if you are in doubt of your abilities.